Hello and welcome back! 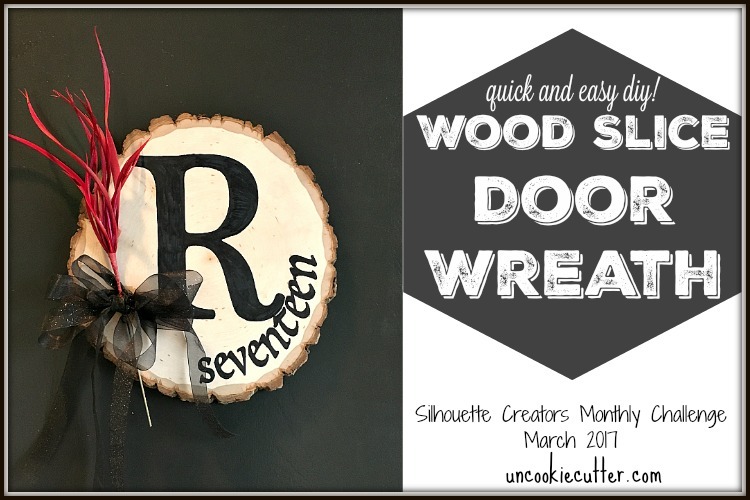 This month our Silhouette Challenge theme was spring, which was perfect since I needed a new spring wreath. Even though I’ve had my Silhouette machine about 6 months now, I’m still getting used to it. 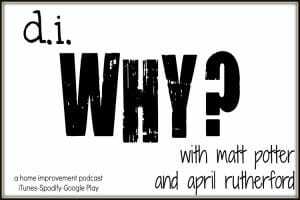 I have loved everything I’ve been able to do with it, but there is so much more I could be doing! 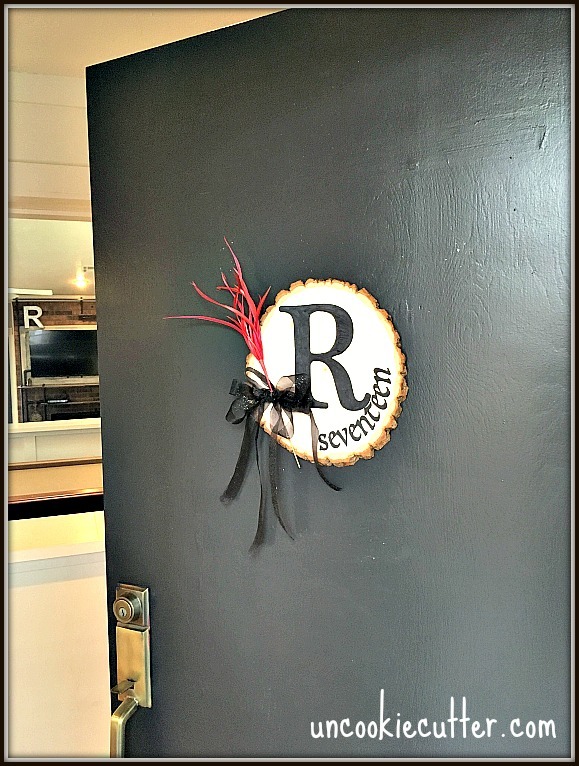 This month I decided on a simple, quick and easy wreath. 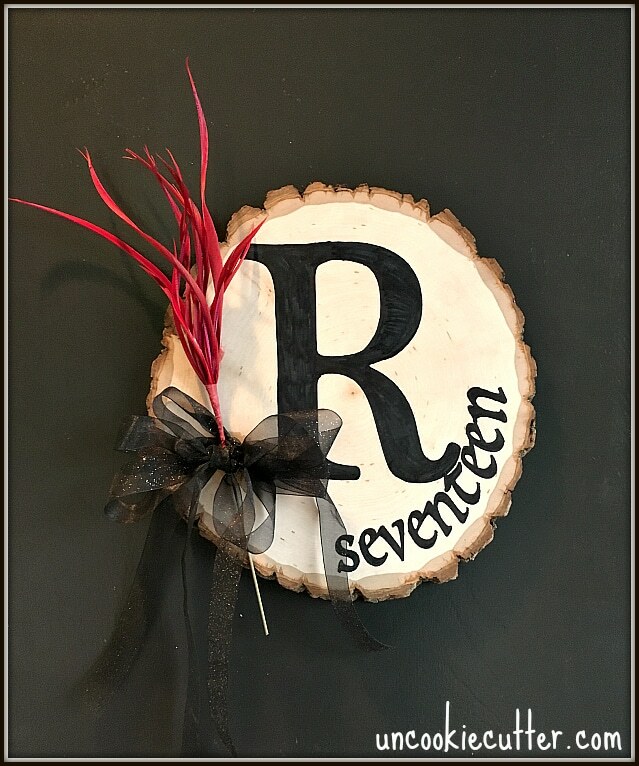 I used a large wood slice to make a door hanging with our initial and house number. The whole project took less than 20 minutes. 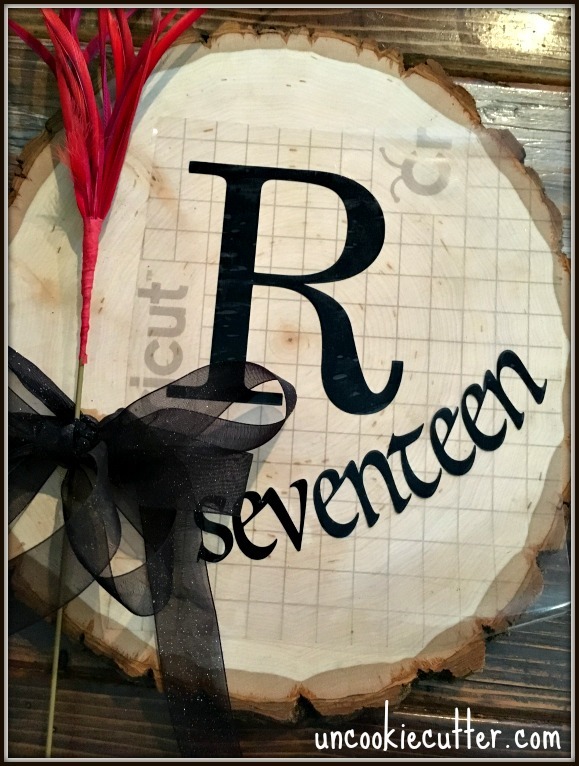 I started with the wood slice and found the simple little pop of red flower at Hobby Lobby. I started by using some ribbon to make a small bow. I actually nailed the bow to the slice of wood, just to make sure it stays put. Also, I can change it out easier than glue if I want a different color bow some point. Then, I worked the flower through. I was hoping I could use my pic scan mat, but it was a little too small. 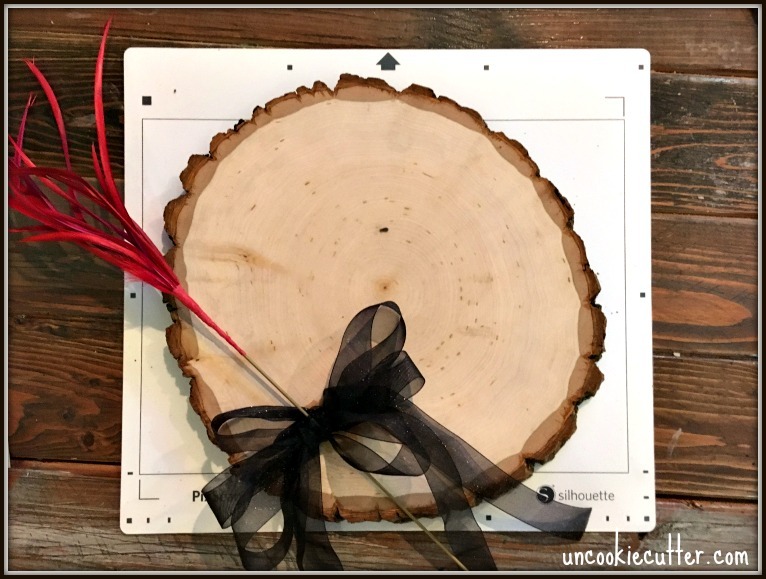 So, I just measured to see what size the wood slice was and drew an oval a similar size in the Silhouette studio. 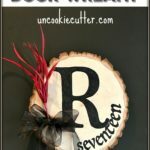 Then I drew and “R” and wrote out the “seventeen” and used another oval to curve the text. Then I cut it all out, but it didn’t look quite right. So, I moved the letters around a bit until they looked better. I also printed a little bit bigger R. I wasn’t sure the vinyl would stick to the wood for long, so I drew around the vinyl with a sharpie, removed the vinyl and then colored it all in. That’s it. So easy! I thought I was going to stain it afterward, but I liked the way it looked, so I left and hung it up. 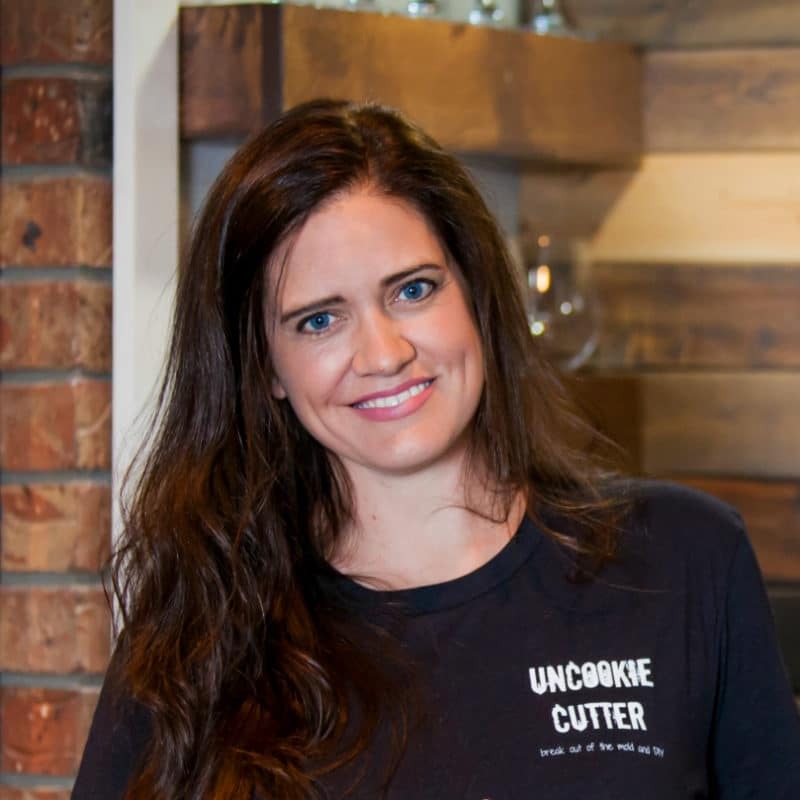 Be sure to stop by and check out some of my friend’s projects they did with their machines! 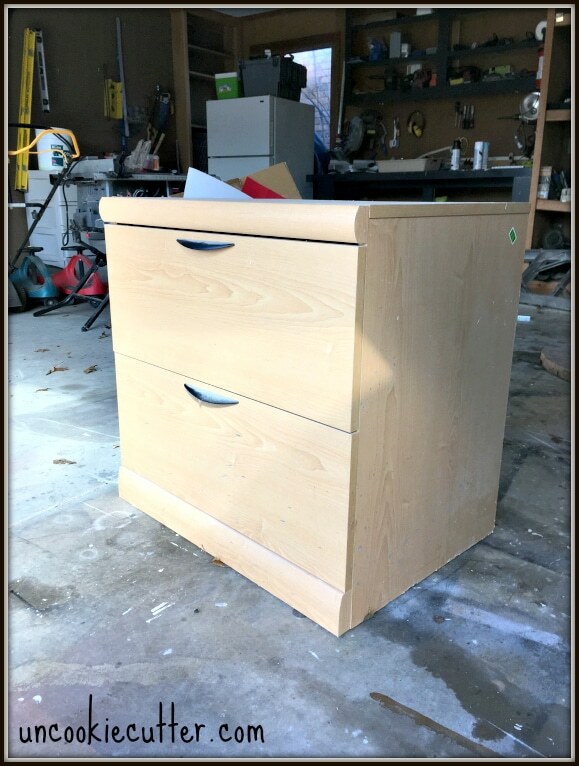 See the February challenge here – my file cabinet makeover – here! That’s it for this month, be sure to check back next month for our April challenge, which is Stencil It! I guess this would fit for that one as well :). Check out the Silhouette machine bundles on Amazon, it’s such a fun and useful toy. What a fun house marker! 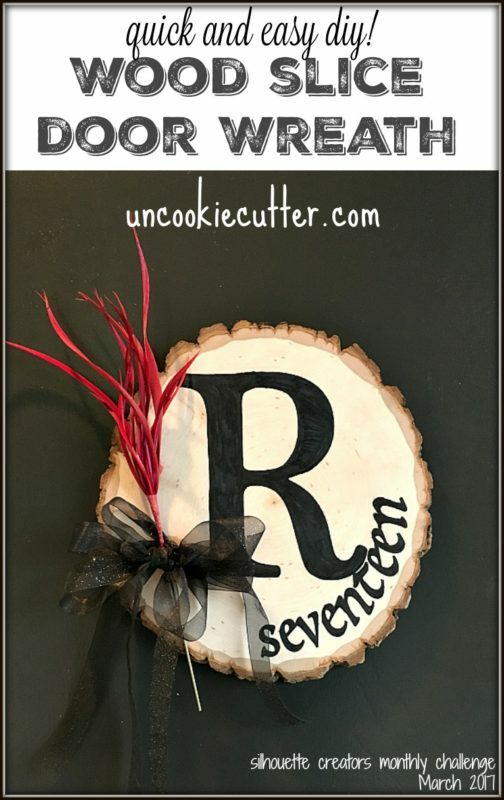 I love using wood slices for everything and this is a great use for one! Love the fun little embellishments – it looks great! April, this looks great! I love the wood slice! And I understand where you’re coming from with your Silhouette – I’ve had mine for years and I’m still getting used to it! So glad I’m not the only one :). Thanks Emily! It’s very pretty. How did you hang your wood slice on the door? Oh, I forgot to mention that! I just used command strips, I love those things! I love how this is a house number and a wreath/door decor as well. It turned out so nice. I never know what to do with those wood slices and this is a great idea. Thank you Michelle! I really never know what to do with them either!